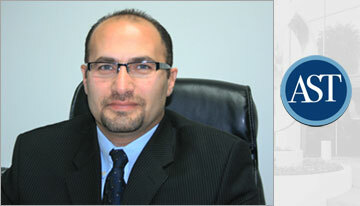 Ayoub, Sidhum Firm is the best rated accounting company and tax preparer in Riverside, CA. Our accounting firm specializes in tax and accounting services for both individuals and businesses. Individual services include tax return preparation, tax audit assistance, estate planning, tax planning, investment review, and retirement planning. Business accounting services include tax return preparation, payroll tax support, sales tax services, IRS representation, audits, reviews, compilations, consulting, mergers & acquisitions, business valuations, cash flow, budgeting analysis, forensic accounting and more. Our business was established in 2004 with the single goal of being the best possible accounting resource for local businesses and individuals. We have started in Corona and then added the Riverside office based on the high demand for our accounting services. Why Choose our Accounting Firm? Joseph Ayoub has provided an array of accounting services ranging from general accounting to auditing, consulting and financial analysis, and tax services for over 16 years. Joseph is dedicated to helping his business and individual clients keep more of what they earn by diligently preparing corporate and individual tax returns, sorting out property tax issues and providing comprehensive financial analysis including audits. His accomplishments in the accounting field include being the Senior Auditor with Arthur Andersen Accounting Firm, acting as Assistant Controller for the organizing committee of the World Cup-Soccer, working as a member of a month-end close team that closed the books of a $1.8 billion dollar company in five days, and working as a Project Manager for database-driven credit system, which enabled management to quantify $2.4 million in annual credits. Certified Public Accountant licensed in California. Marcos obtained his B.S. in accounting from California State University, Long Beach. 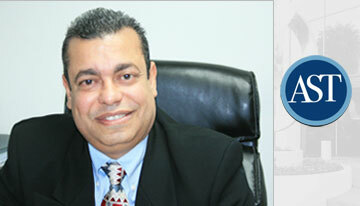 He has more than 13 years of public accounting experience providing audit, accounting, tax and consulting services. Marcos served a variety of clients in the areas of manufacturing, real estate, retail industries, and not-for-profit organizations. He is a member of the California Society of Certified Public Accountants and the American Institute of Certified Public Accountants. Marcos also has experience in representing companies and individuals before the Internal Revenue Service and the Franchise Tax Board. Marcos worked in the tax department for McGladrey as a Senior, Assurance Manager for Deloitte & Touché handling publicly traded companies and Certified Audit Manager for a National CPA Firm handling Audits and Taxes for Employee Benefits Plans and Non Profit organizations.